The small Clos Häuserer (1.198ha) is located right on the bottom of the Grand Cru Hengst. It has a gentle east facing and is very well protected from westerly and northerly winds. It can therefore be very cold in winter (and sensitive to frost), but heat can also accumulate in summer in this little protected bowl. The rich marl soil is very deep (up to 1.5m) before reaching the Oligocene limestone mother rock. 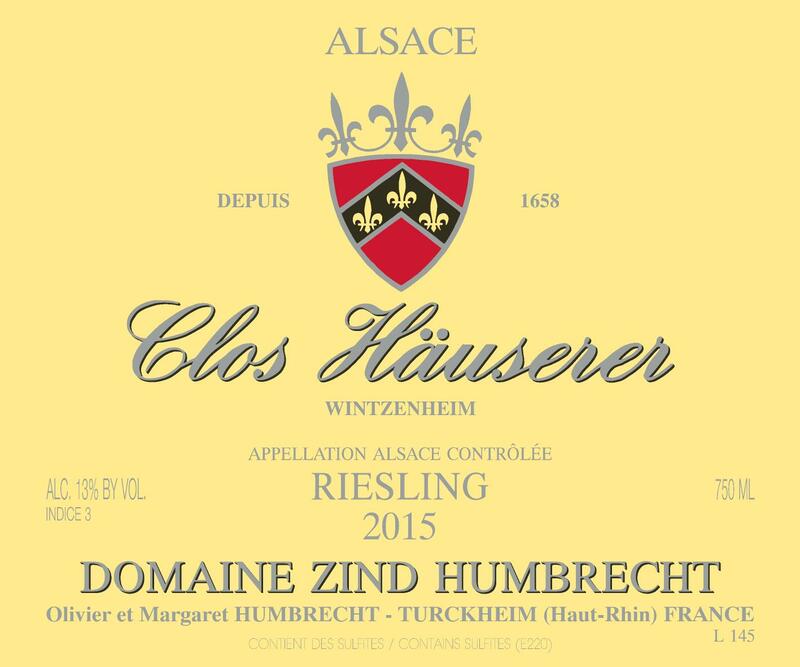 Clos Häuserer was a complicated vineyard it its youth, often over vigorous, but now that the roots are much deeper, it has become a very consistent and satisfactory vineyard to cultivate. Despite the precocious climate, the soil warms up very slowly which explain the late ripening style of the wines that always boast one of the highest acidity/low pH of the domaine. This in turn explains the very slow fermentation and the natural sweeter style of this wine in the rich vintages like 2015. 8/2017: intense yellow gold colour. Expressive ripe fruity nose. The grapes were very healthy, but the aromatic profile (exotic fruits, white fruits, citrus…) would wrongly suggest some botrytis. In fact, the Clos Häuserer shows more the concentration of the vintage and the high physiological ripeness of the grapes. The palate is very elegant and delicate. The light perceivable sweetness is perfectly controlled and dominated by a racy acidity. Indice 3 will almost seem exaggerated for some people, especially after a few years of age. Glorious wine, definitely made for long keeping.